If you’ve ever watched one of those ‘prepper’ reality TV shows, you might think that the people they portray are crazy – or you might secretly agree with them. 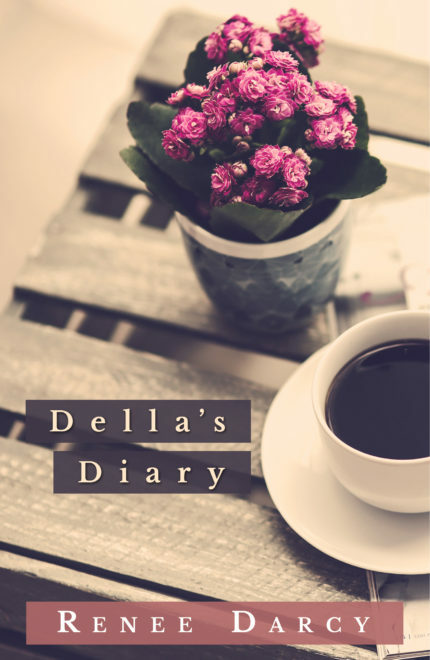 Della’s Diary is the story of how Della – a normal wife, mother and writer – slowly finds herself slipping into the prepper lifestyle. All she wants to do is protect the people she cares about, but instead she faces a growing rift with her husband, and surprising life changes. Della’s Diary humanizes the sometimes crazy-seeming extremes of the ‘prepper’ lifestyle. Della herself is an engaging, interesting character, and you find yourself rooting for her and even understanding her descent into prepper-dom. Being a mom is a lot like being a prepper. It’s all about being prepared for the most common crises, with enough extra supplies to help you handle pretty much anything that might come your way. Although I probably should carry some peanut-free granola bars in case I ever have to feed a kid with a peanut allergy. It’s always a toss-up whether another parent is horrified when they see me feeding my son peanuts, or whether they high five me for refusing to bow down to the establishment. Maybe I need to hang around with different parents. Anyway, we’re ready. Bring on the party! This book has a lot of layers. Introspection. Political awareness. Romance. Humor. Just when you think you’ve got it pinned down, it surprises you with something new. I totally wasn’t expecting the direction the book took, but Della is a relatable and compelling character. Della is just like a friend of mine, if that friend was maybe a little too concerned about improbable things happening. I love how she feels like a real person, like someone I know.